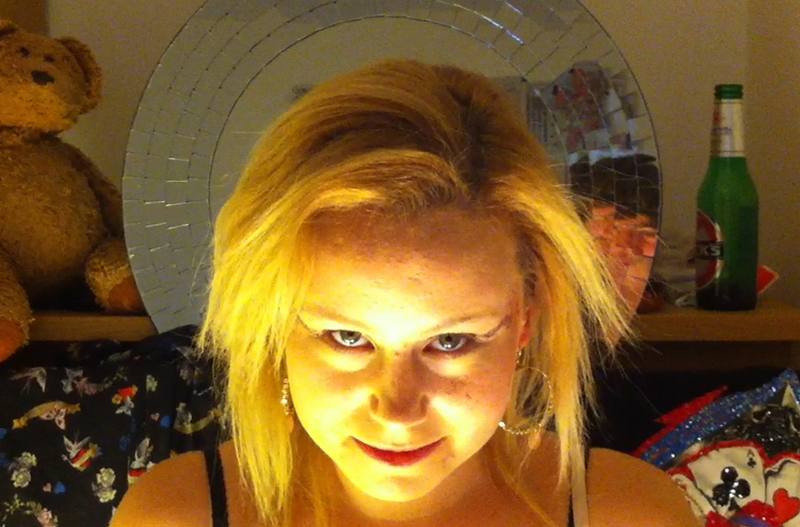 This still from the promotional video for Loaded became a primary branding image for the 24/7 Theatre Festival in 2012. 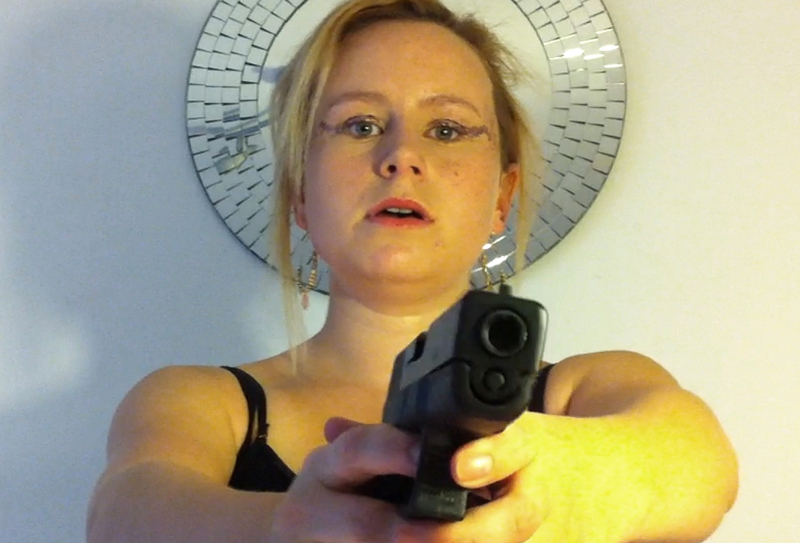 Dolly Rose Campbell wrestles with gun crime in Gorton, a still from Loaded by Jo Kirtley. Dolly won a Best Actress award for this role and went on to play Gemma Winter in itv’s Coronation Street. Darren Connolly also won Best Actor for his performance in Loaded and went on to feature in Holby City, The Village, Ordinary Lies and a variety of other TV shows. 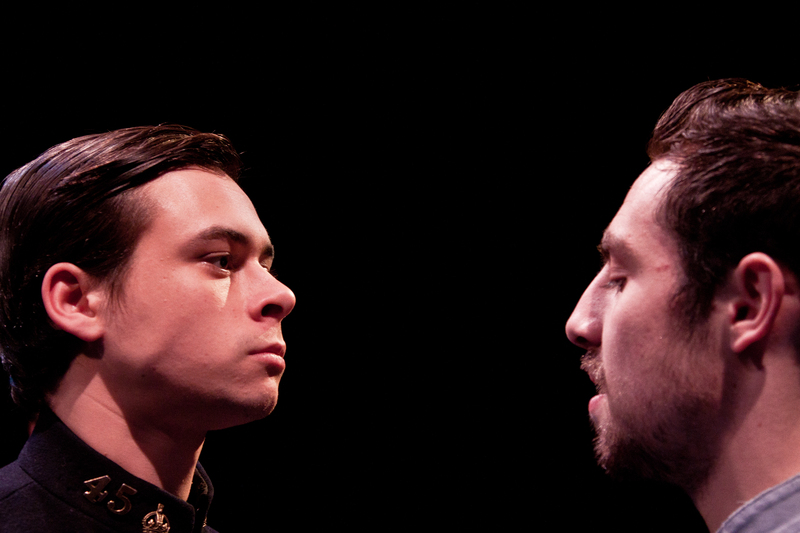 Directing Rob Ward in the award winning production of Away From Home. Rob Ward on the set of Away From Home…. 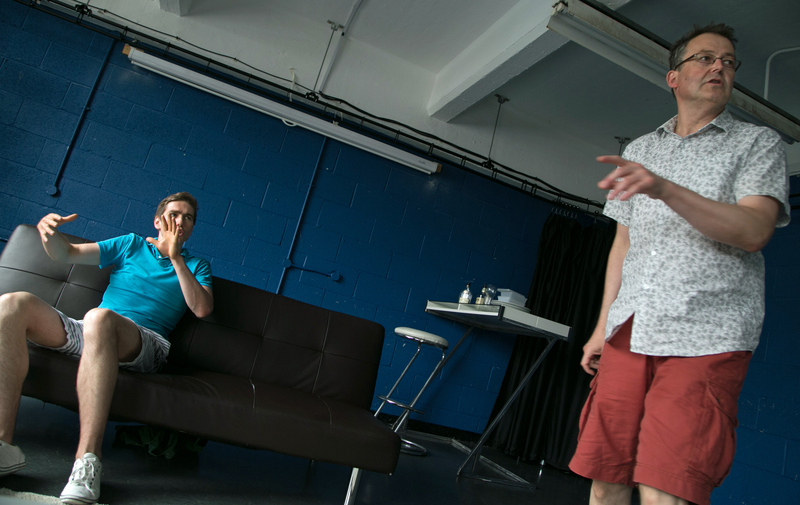 oh yeah, and I designed this set an’ all…. I even did the technical drawings for the steel frame at the back..! …and here the set becomes an intensive care side ward. 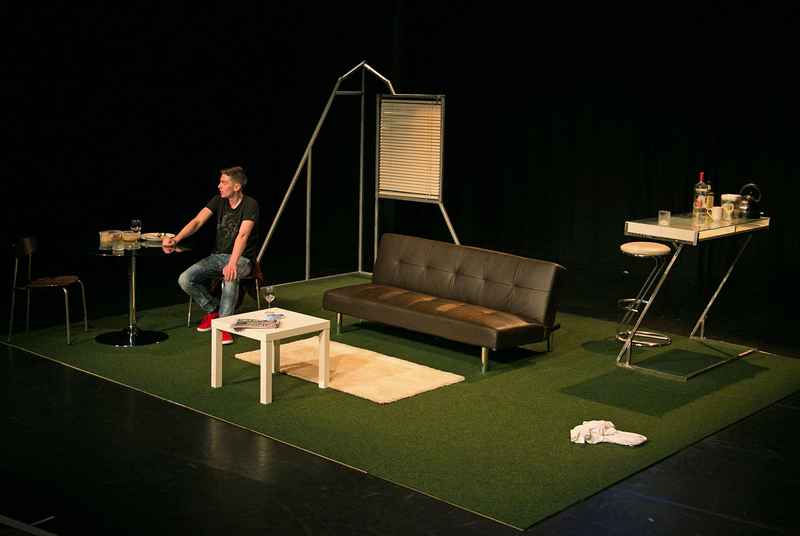 Adam Long and Arron Lee in Better Times by Barrie Keefe – Third Year Graduation show at The Arden School of Theatre in Manchester. 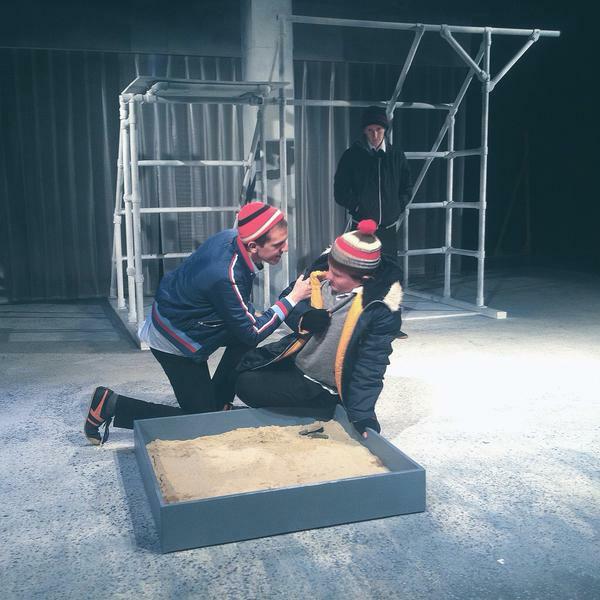 Tarek Slater and Matthew Allen showing off a range of fashionable headwear whilst avoiding vampires in Let The Right One In at ALRA North. 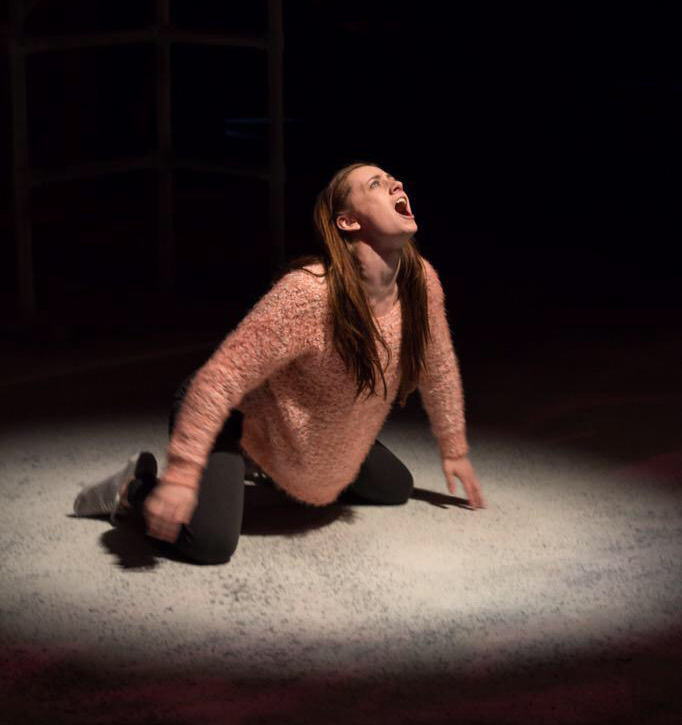 Emily Dowson releasing her inner vampire as Eli in Let The Right One In at ALRA North. 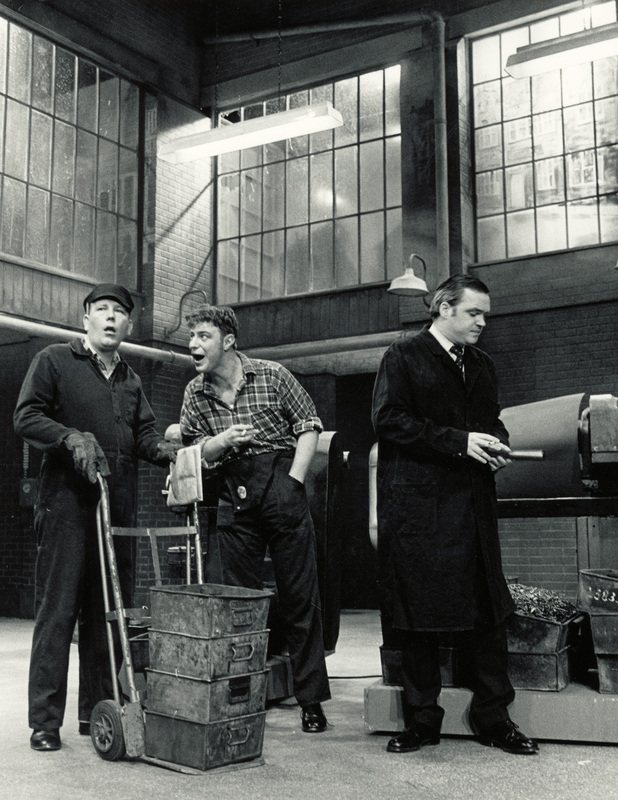 Ian Mercer as Arthur Seaton in the 1988 production of Saturday Night & Sunday Morning at Nottingham playhouse. Designed by Robert Jones, we had working lathes on that stage! 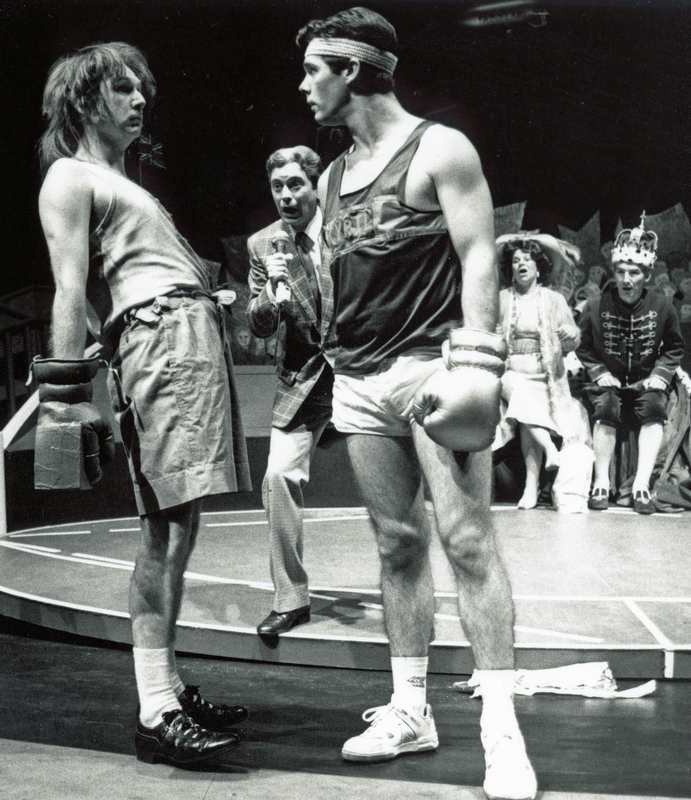 Peter Andrews, Dean Williamson and John Middleton in Old King Cole at the old Leeds Playhouse. Those were the days.